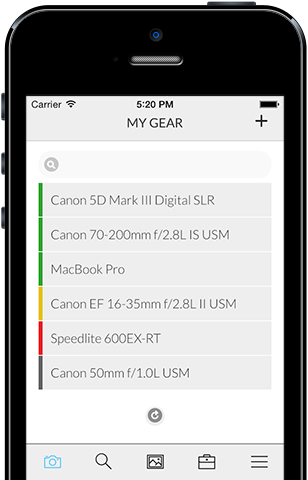 Lenstag - Protect your camera equipment, images and help make the world safer for photography on iOS, Android and the web. Join tens of thousands of photographers around the world in the fight against theft. Add your cameras, lenses and anything else to Lenstag and get global protection plus so much more. If your gear goes missing, using Lenstag greatly increases the chances you'll get it back. Don’t let your work end up in places online that you didn’t authorize. Lenstag has already recovered stolen equipment. 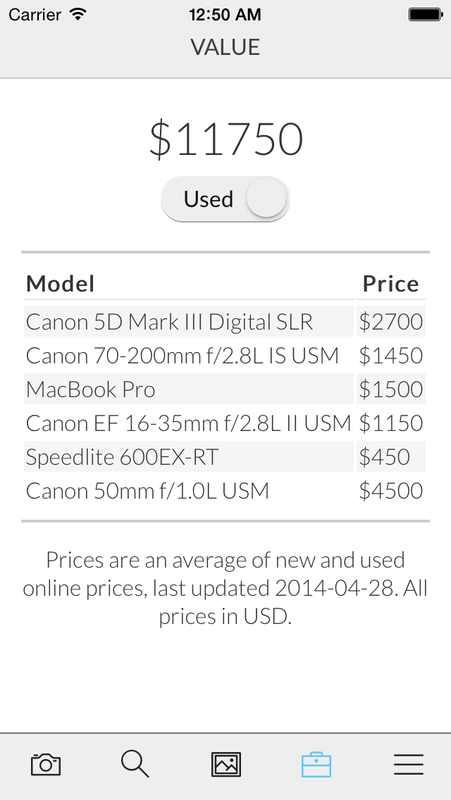 Once your gear is verified, you'll have access to updated new & used values for all your equipment. Lenstag was designed to get your gear on record with the least amount of effort, the strongest ownership claim and as quickly as possible. Download Lenstag for iOS, Android or use Lenstag.com. 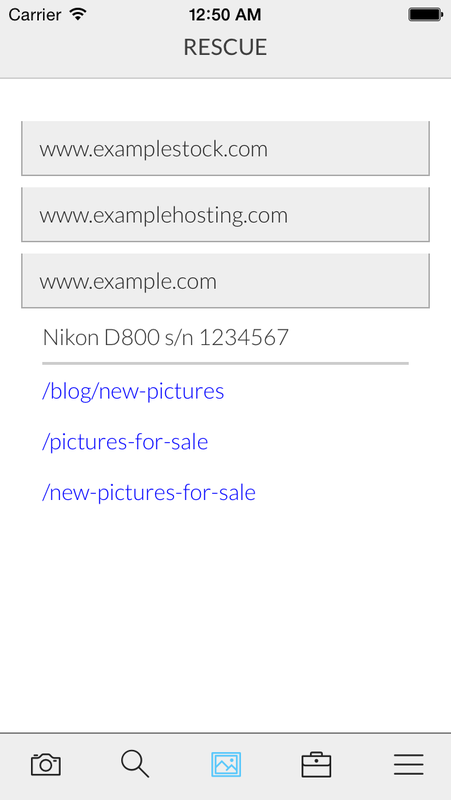 Add your model (with autocomplete!) and serial number with picture of every item you'd like protected. We'll review your items and then they'll be protected. See what websites your images are on, how much your gear is worth and find out if that new lens	you want to buy is stolen. If you have additional questions that aren't answered below, feel free to email us at hello@lenstag.com. Yes, Lenstag actually works! We've recovered stolen gear and you can read about it on Petapixel here: Lenstag Recovers Its First Item, Stolen Lens Returned to Happy Owner. 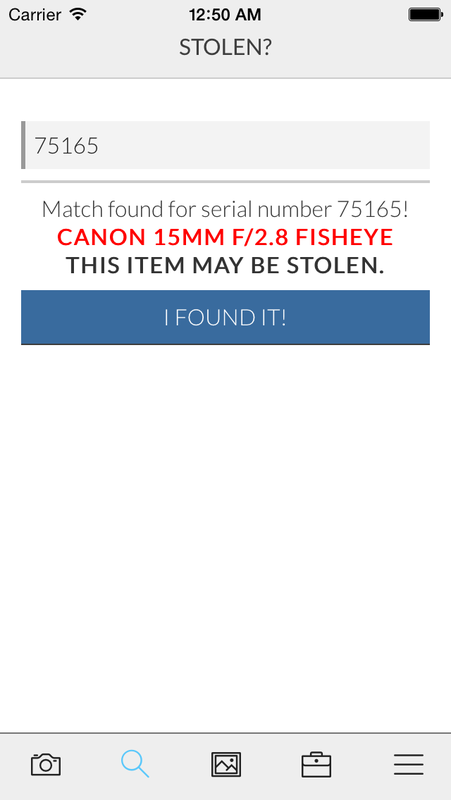 We've also helped owners track down gear all over the world and have helped bring camera thieves to trial. How much does Lenstag cost? It's free. All we need from you is an email address, password, the model names and serial numbers of the equipment you'd like to protect. Why should I register my gear before it gets stolen? The first few hours after a theft are absolutely critical to getting the word out & preventing resale of the stolen gear. If your gear is already registered, then you just have to sign in & flag the items as stolen (and optionally provide additional information). If you wait until after your gear is stolen, you'll have to add the gear, verify it with something else other than a picture of the serial number and wait a day or two for someone at Lenstag to approve the verification request. By then the gear has probably been pawned or sold and the chances of successful recovery are substantially lower. Tens of thousands of photographers all around the world use Lenstag, as well as the largest camera & lens rental companies like BorrowLenses and LensRentals. Protect your gear, images and help make the world safer for photography. Download Lenstag for free on iOS, Android, or sign up for Lenstag now. Install the Lenstag Rescue Google Chrome extension now! Lenstag ™ © 2013-2018 Lenstag LLC. All Rights Reserved.